This week we have a quick peak at the behind the scenes stuff we do here at Digital Initiatives. Some of these images are new and some are a bit older, but all give a fun look at the secret stuff that happens to get the content you see online! Scroll to the bottom to see links to our longer articles about the process behind many of these pictures. 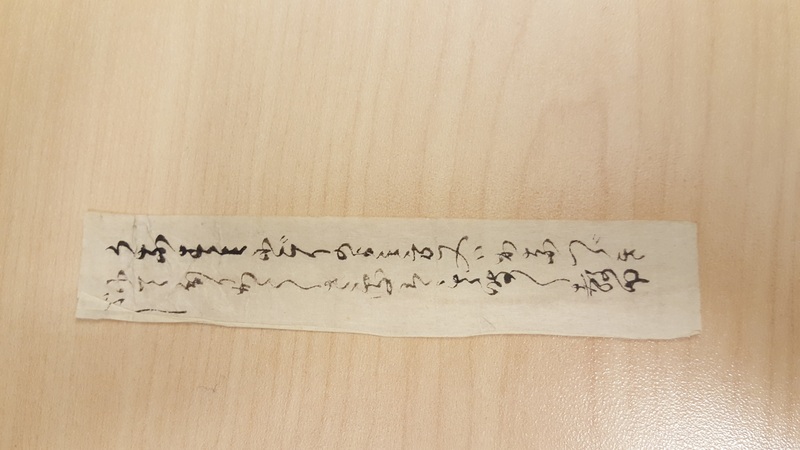 A slip of paper found in the above book. Sometimes personal items are left in old books – it could be someone was practicing their writing or copying down a passage they liked! 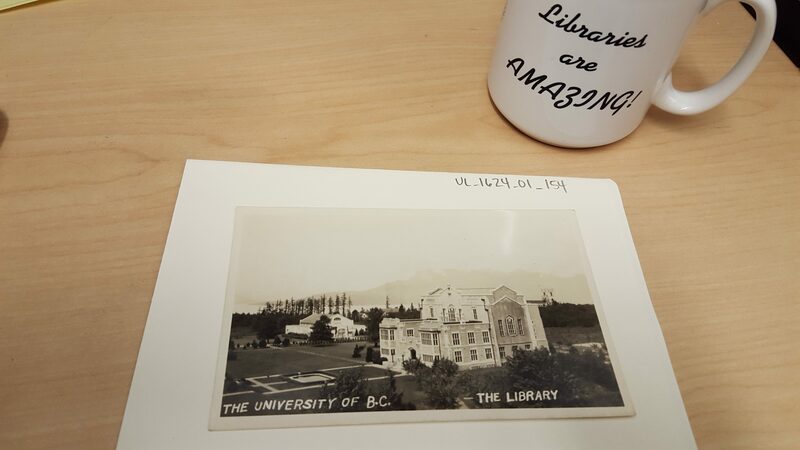 Cool old postcard from the Uno Langmann Collection of our home at Irving K Barber Learning center – complimented by a fun libraries mug. 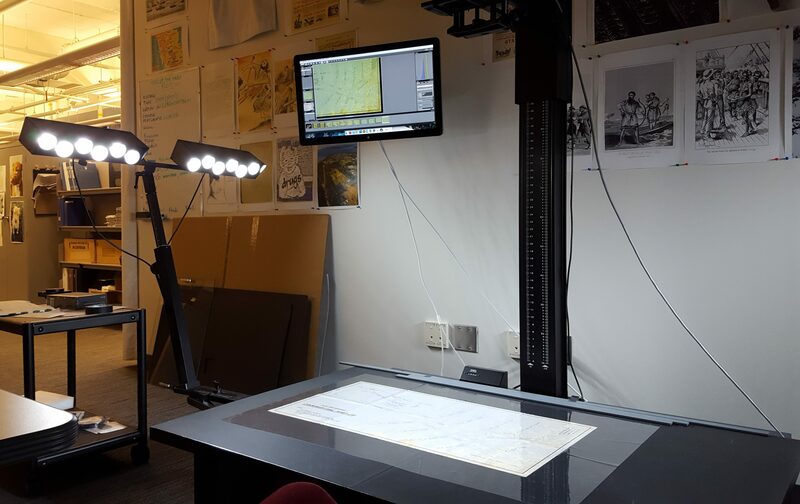 A picture of a map being scanned from the Uno Langmann Collection. 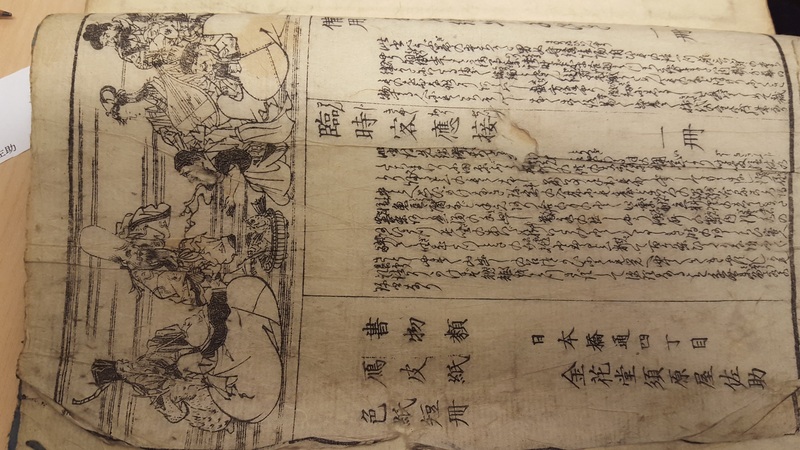 A cool image of a poster from the Chung collection being digitized on the TTI – click on the picture to see the image on Open Collections now. 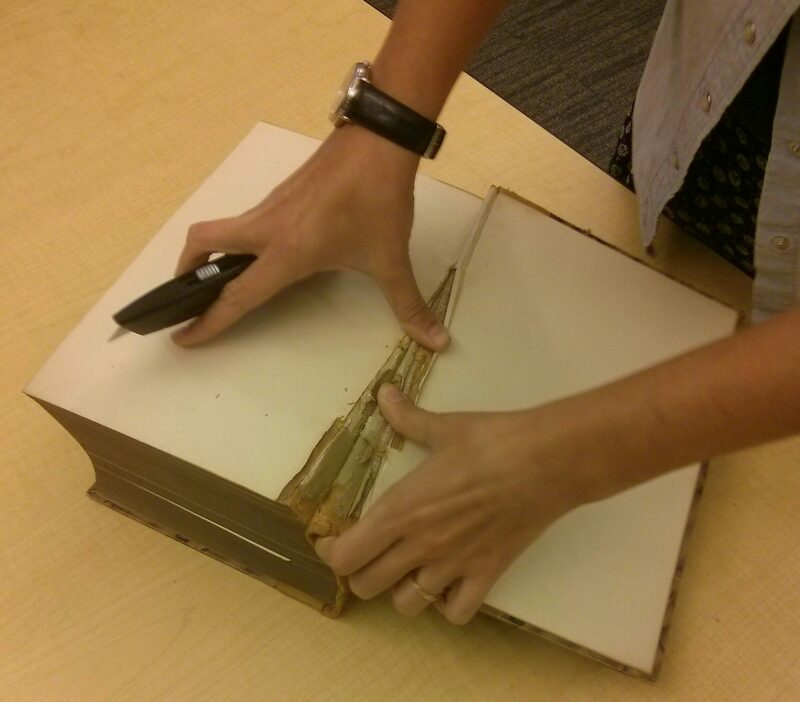 A book getting disbound by one of the students working at DI. Disbound books are often easier to scan. 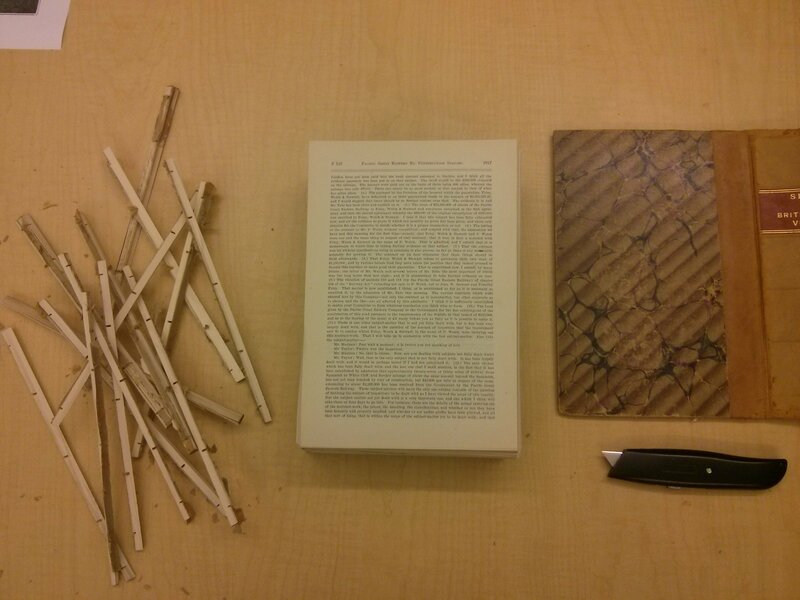 The fully disbound book. No fear book lovers, we only do this to books we already have copies of! 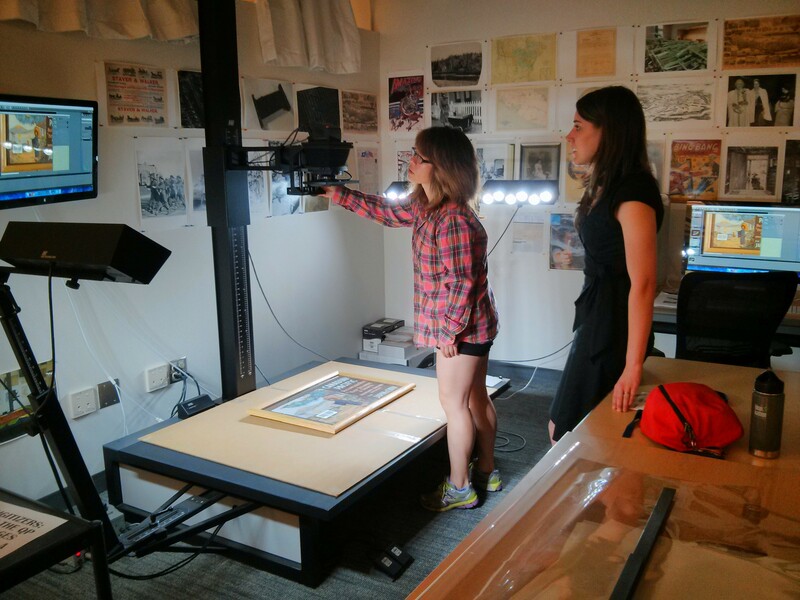 If you would like to learn more about the Uno Langmann Collection click here. 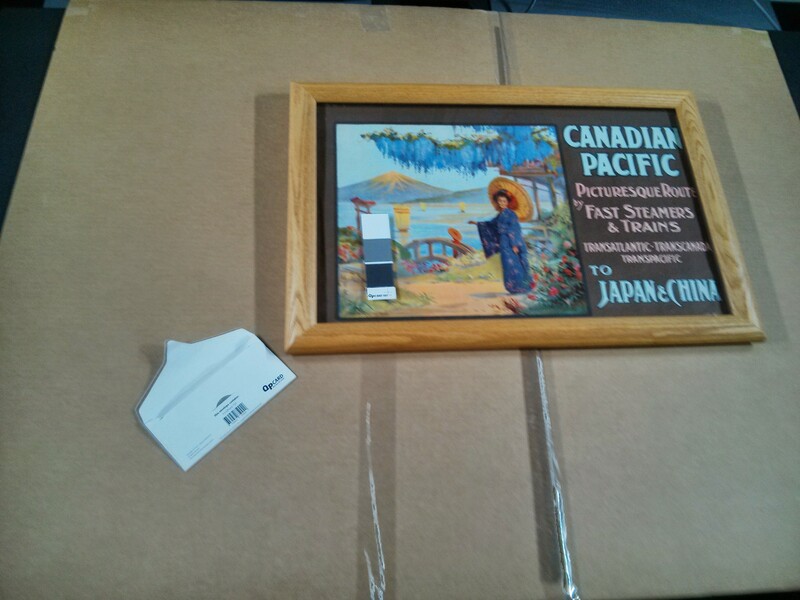 If you are interested in how we scan posters and large maps click here. If the disbinding intrigued you click here.